of not only native identities but also the sacred places/spaces of North America’s first people." I would like to commend Aaron Carapella for creating and designing maps of Canada and the Continental US, displaying villages once occupied by First Nations people. Aaron you are an amazing self taught map maker and my hands are up to you for learning this skill and using it productively. I admire your dedication to this project and for standing your ground! The world needs more people like you Aaron, keep up the great work! ​Here you will find the most comprehensive maps of pre-contact and at-contact Native North America to date. 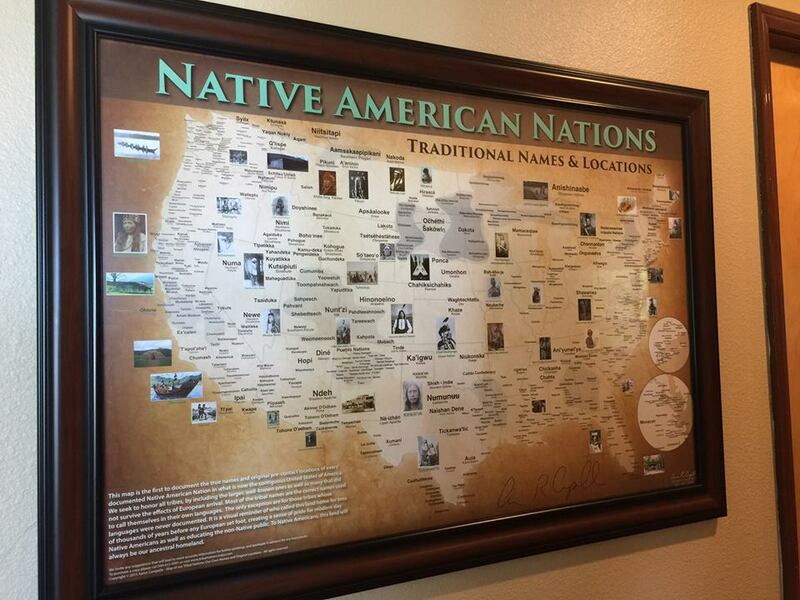 These maps use Tribal Nation’s original indigenous names for themselves, and show where Tribes were just before contact with outsiders, as well as the last homelands they defended . The intent of these maps is to instill pride in Native peoples and to be used as teaching tools from a Native perspective. These maps are part of my Tribal Nations Map series-which cover the Nations indigenous to the “United States,”, “Canada”, "Mexico" , "Central America", "South America" and “Alaska." Your purchase supports multiple upcoming maps. I credit the many hundreds of Cultural directors, elders, educators and linguists that have helped me centralize these names onto one visual display.